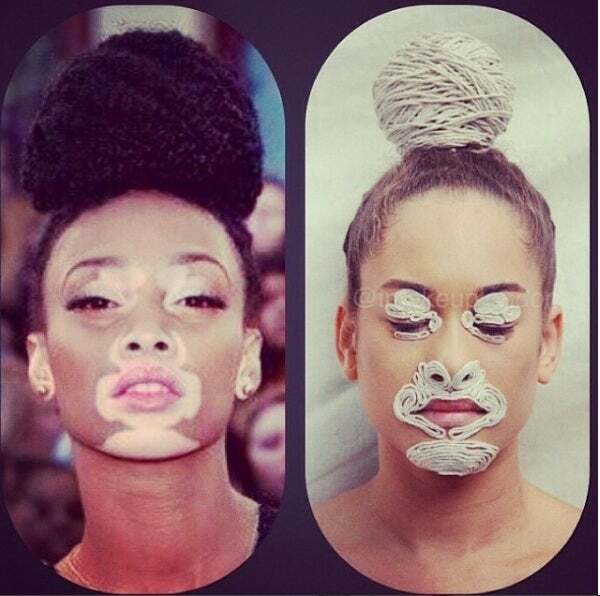 Model Winnie Harlow took the world by storm when she first tried out for "America's Next Top Model" in 2014. Harlow—who suffers from the rare skin condition vitilgo—recently announced a new campaign highlighting confidence and self-esteem. Here are nine ways this stunning model is slaying her way to the top. "I can take off all the brown skin and be white, but I cannot take off all the white skin and be brown," Harlow said in an interview. "If God wanted be to be Black, I'd be Black, if he wanted me to be White, I'd be White, so I guess he chose for me to be both and original...that's the way I'm supposed to be…I have my flaws, but I embrace them and I love them because they're mine." 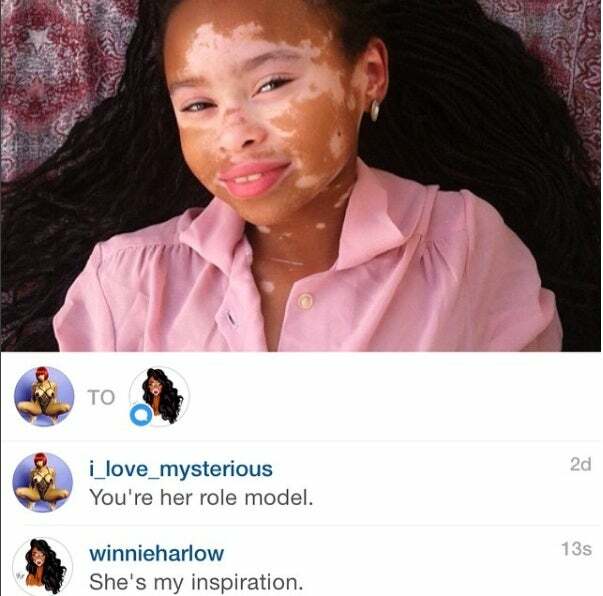 In the cutest Instagram photo ever, Harlow shares her transformation from a youngster before vitilogo to a magnificent young lady with vitiligo today. She captined this image: "#TransformationTuesday"
Harlow's fans celebrate her beautiful differences with beautiful artwork. She captioned this photo: "Maybe it's just that I'm comfortable in my skin, but I don't know how someone couldn't find this amazing. A detailed artist wanting to recreate something about you on someone else that you were bullied and beat up for... It shows me that times are changing and what wasn't "accepted" before is now becoming the norm. I love it!" From runway shows to major campaigns, Winnie is rocking the fashion world, and she's the first woman with Vitiligo to ever do it. She graced the runway for major brands like Desigual and has become the face of Diesel. Her place in fashion is proving that anything is possible. Although she didn't win cycle 21 of America's Next Top Model, Winnie definitely left her mark. Sharing her story with the world, she left an immediate impression on Tyra Banks. The model was originally cut during the fourth episode, but was voted back onto the show, finishing in 6th place. The model doesn't hesitate to share her struggle with bullying. 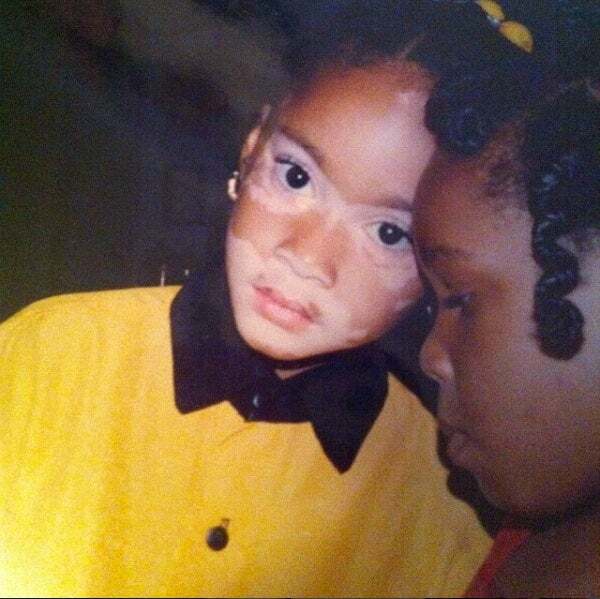 From being called a cow to getting jumped simply because of her skin condition, she's experienced it all. 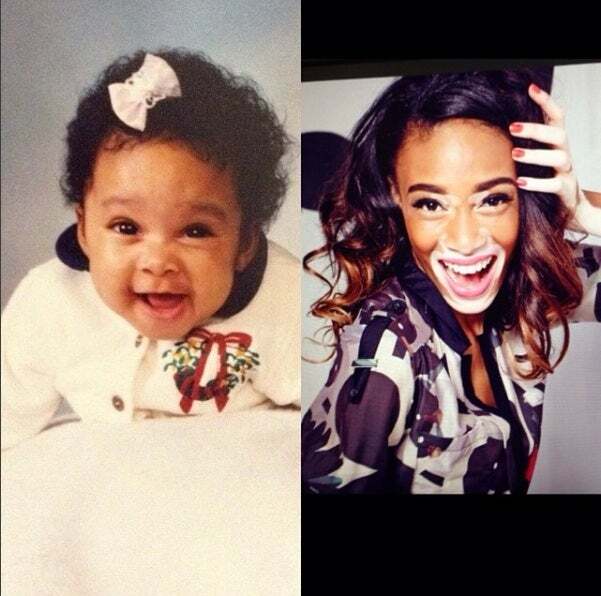 In a recent essay, she detailed her childhood and how she overcame hurtful incidents to move toward her dreams. Through sharing her story, she's able to encourage girls eveywhere to keep going. True to her Canadian and Caribbean roots, Harlow showed up and showed out at this summer's Caribana festival. She donned a gorgeous carnival outfit, showing that she's a fashionista in any setting. Making a red carpet appearance is one thing; stealing the show is quite another. Clearly, Winnie has no issue being the center of attention.